This is a story of a young boy's journey from a sleepy provincial town in Hungary during the Second World War to the concentration camp in Bergen-Belsen. 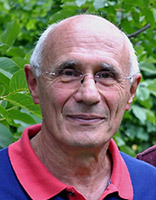 By the age of 30, Peter Lantos had survived Bergen-Belsen concentration camp, was beaten by the Communist police in Hungary, qualified in medicine, defected to England, sentenced to imprisonment for this “crime” in his absence and had established a career in academic medicine in London. And this was only the beginning. Read more about Peter. 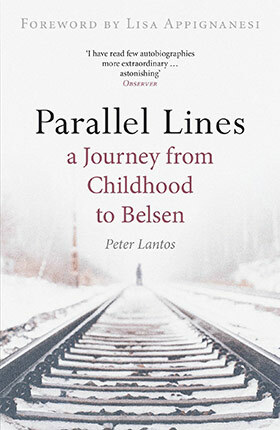 After retirement, it was his childhood experiences which gave him the impetus to write Parallel Lines, published in 2006 by Arcadia Books London, reprinted in 2007 and translated into Hungarian, German and Italian. The book has attracted unanimously favourable reviews, and Alan Sillitoe described it as “something of a genius with the readability of a classic.” It has been reprinted again with a new cover and a Foreword by Lisa Appignanesi in February 2014, and featured both on BBC Radio and Television. Peter Lantos has published a trilogy of plays, Stolen Lives (2018). All three have turning points in recent Hungarian history: the Holocaust, the 1956 Revolution and the collapse of Communism in 1989. The common theme linking the three dramas is the irreconcilable antagonism between vulnerable individuals and ruthless dictatorships, fuelled by toxic ideologies.